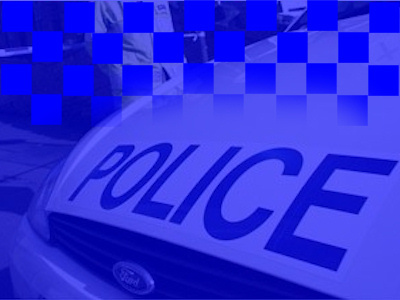 Officers are appealing for information following an aggravated burglary in Blaby. The incident happened at around 10.40pm on Monday evening (June 6, 2011) as the elderly occupant was watching television at her home on Park Road. Three men entered the property through the back door and one of the men pushed the woman back into her chair as she tried to get up. They made off from the house with a small quantity of cash from her purse. The first man is described as Asian, about 30 years old, around 5’8” to 5’11” tall, of medium build. He was wearing a black t-shirt with red on it. The second man is described as Asian, around 5’6” to 5’8” tall with short black hair. He was wearing black clothing with black gloves. The third man is described as white. He was wearing a white knitted hat and black jacket. PC Tracey Horne, who is investigating the incident, said: “As I’m sure people can imagine the victim has been left in a state of shock by this incident. She is extremely upset and is terrified to be in the house alone. “I’m appealing for information from anyone who was in and around Park Road in the evening of Monday to please get in touch. Did you see the men leave the house and the direction they took? Have you seen them in the area prior to the burglary? Anyone with any information is asked to contact PC 4039 Tracey Horne on Leicester (0116) 222 2222, follow the instructions to leave a message for a police officer and when prompted key in the officer’s identification number 4039. Alternatively, contact Crimestoppers, which is free* and anonymous, on 0800 555 111. * Please note, some mobile ‘phone service providers may charge for this call.